Do I Need a Pressure Piping System? For industry owners, the simple answer is yes. If you have power boilers or heating boilers, then you need pipes that can handle them. Pressure piping is slightly different from regular piping based on the amount of pressure it can handle for one. Pressure comes from the amount of water and the speed of the water running through the pipe. Regular pipes designed for homes do not have a lot of pressure, as they are not used as much. They also cannot handle high-pressure gasses or vapors. Regardless of your property type, having a certified team who can work with these pipes makes a huge difference in the safety and longevity of your pipes. Given that these pipes must function under immense pressure, you want to keep them well maintained. Imagine the damage that comes from a regular pipe bursting or cracking. Now imagine if that pipe is filled with dangerous gasses, vapors or boiling water. What might have been a minor problem can become a huge problem with potential for serious injury. When you have an experienced team working to maintain or repair your high-pressure pipes, you reduce the risk of injury to your crew. 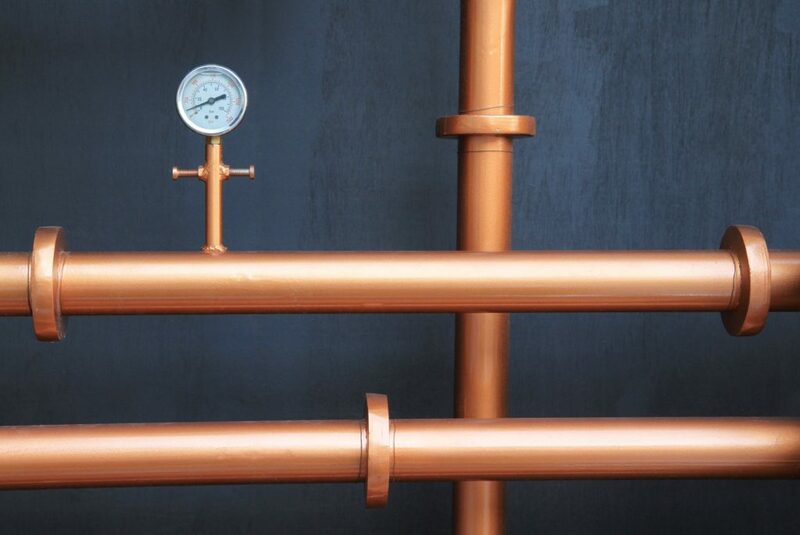 Having the proper care for your pressure piping systems helps ensure your company stays efficient. No pipe is perfect and sometimes things go wrong. A minor hairline crack may not seem like a huge problem until your product starts to slow. When you have a quality team working on your pipes, they can help you avoid any major problems. Getting a team that can supply the proper replacement parts also helps keep your company running smoothly. Being ASME certified means being committed to the safety and excellence of service. ASME is a QA Standard that represents a dedication to quality and adherence to recent safety codes. Meaning that the company is up to date on all safety procedures and codes. It also indicates that the work done in the creation of parts is safe and consistent. When a company has this type of certification, it means you can trust them to do a quality job on your pipes. For your industry’s piping needs, choose Wyler Industrial Inc. We are certified by ASME to work with pressure piping systems and have years of experience here in El Paso. We have the knowledge you need and want to keep your piping working for you. Call us today for an appointment.